Peter earned his undergraduate and dentistry degrees at Marquette and then went on to Harvard University, where he received his doctor of medical sciences degree. He has taught courses in oral and maxiofacial pathology at the University of Pittsburgh, Northwestern University and the University of Minnesota and is currently dean of the School of Dentistry at the University of Michigan. His research specializes in vascular biology, particularly angiogenesis (the growth of new blood vessels) and its relationship to cancer and other diseases. He is a member of the Institute of Medicine of the National Academies and is president of the American Association for Dental Research. An accomplished researcher, educator and mentor, he credits his Jesuit education with being foundational to how he has lived his personal and professional lives. “As a professional, it is my personal belief that my education as a scientist and caregiver must be used in service to society, particularly for those patients who are most vulnerable,” says Peter, who is actively involved with the University of Michigan’s Jesuit-run parish. 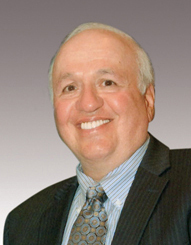 Get to Know: Peter J. Polverini, D.D.S. Hometown: Born in Boston, raised in Everett, Mass. In grade school Peter wanted to be a scientist or a doctor.